I am an extremely judgmental person. Very few moments go by in the day when I am not passing judgment on something. Those leftovers? I think they’ve turned. Your new shoes? I adore them! Gay marriage? Go for it. The sketchy looking guy at the mall? I think I’ll go walk over here instead. Judge. Judge. Judge. I am full of them. So are you. It is a sign that you are living and breathing. 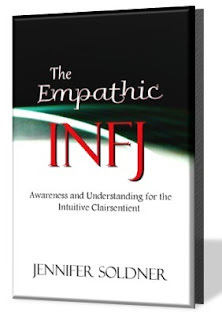 In fact, to take it a step further, it is a sign that you are intelligent, emotionally healthy and capable of survival. Judging is a natural, ingrained piece of who we are. It helps ensure our survival. It allows us to make quick decisions in confusing situations or well-thought out choices that will affect our futures. To judge is to have an opinion. By definition, to judge is to form an opinion about something. Recognize the lack of finality in that definition. One can make an initial judgement based on the information available to them. When new information becomes available, they naturally judge the new information, leading them to reaffirm their initial judgment or alter it to form a new judgment. To be closed-minded is to make an initial judgment and then refuse any new information that may alter that judgment. Much unlike being judgmental, closed-mindedness is a sign of unintelligence and poor emotional health. 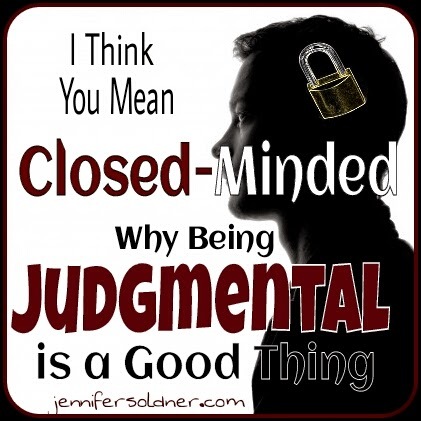 Closed-mindedness is a negative trait. Judgment is a positive trait. In losing sight of this, a frightening thing is happening. People are becoming afraid to have opinions. They are scared to speak their mind lest they be considered “judgmental.” They are shamed into silence while the closed-minded continue to preach loudly and proudly. So I am firmly resolved to having opinions, proudly and unbashedly. Fluid, open-minded, ever-changing and growing opinions. I challenge you to embrace your ability, and responsibility, to have opinions. Stand proud in each and every one of your judgments, embracing the humanity of a positive, daily thought process. Challenge thoughts with your own. Invite mature discussions. Seek new, unfamiliar information. Keep your mind wide open and be judgmental. And when someone tries to shut you down, let them know they are being closed-minded. By all means, judge them.